Today Ofcom has outlined proposals for making mobile network switching quicker and simpler. The watchdog "plans to overhaul mobile switching," and has conducted in-depth research about the processes customers have to go through in order to successfully switch providers. There are two alternative options outlined, and Ofcom will consult and then make its mind up on the chosen way forward with a final decision in autumn this year. Ofcom's ideas about mobile network switching have firmed up since we first heard about this initiative back in July last year – obviously stemming from its research. The research results are certainly interesting. Difficulties experienced by mobile network switchers are very common with 38 per cent saying they experienced at least one major problem during the process. The data indicates that 2.5 million people changed providers in the last 18 months and their problems included; "difficulties contacting their current provider (11%), cancelling their service (10%), or keeping their phone number (10%), while one in five mobile switchers (20%) temporarily lost service". It was also revealed that the widespread knowledge of the difficulties in switching providers puts off a large amount of people from going ahead with the process. 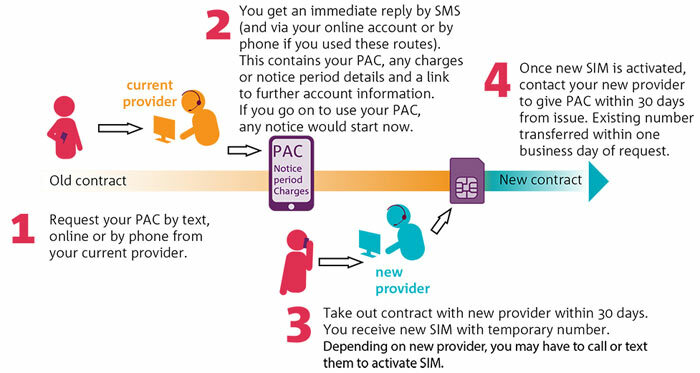 Regarding Ofcom's latest brace of alternative switching options; the preferred option is a simple 'gaining provider-led' process and a secondary improved option simply makes getting a PAC via an automated service, either by text message or online. In my experience with switching mobile networks, the first option is far preferable. The second option seems to slightly miss the point as I've never had any real difficulty obtaining the PAC, just the hindrance of being polite to teleworkers, but the biggest problem I've faced is with the end of contract period. Some networks have previously insisted on giving notice on certain days to avoid the sting of another month's line rental, for instance, but different customer service people have not always agreed what date that is, varying from sign up date to billing date or some other date. Ofcom Chief Executive Sharon White summed up the purpose of the changes; "It is unacceptable for people to be missing out on better mobile deals because they fear the hassle of switching, or are put off having had a poor experience in the past," she said. "We want mobile customers to benefit from speedier, simpler switching, making it easier for them to vote with their feet and take advantage of choice in the market." Remember, Ofcom will decide on this matter following further consultation, expect the final decision this autumn. In its summary Ofcom also pointed out that it is progressing work on consumers' experience of switching bundled services - landline, broadband and pay TV. Further important change could come with the landline telephone 'line rental' necessity for those using ADSL broadband being axed, if the statements from Culture Minister Ed Vaizey are anything to go by. Having said that…. I do like the line about axing line rental although I'm sure BT will find another way to get their money fix. Why can't we just do away with this ‘temporary number’ stage? If we can do an instant bank transfer, we can do an instant number transfer. OTOH transferring a number is so painful that anything will improve it. Last time I asked Three for a code, they sent it to me, then they cancelled it and refused to honour the transfer, so I ended up living with the new ‘temporary number’ that was sent to me. For that, Three will never get my business again. Heavily in favour of the removal of forced line rental, assuming the companies don't then just tack it on to their broadband pricing as “part of the service”. We have KC Lightstream Fibre here, and we don't use our landline phone at all, in fact we don't even have one plugged in. They already list theirs as one price with “Monthly Line Rental Included” as opposed to BT and the like listing it separately, so maybe they preemptively dodged the bullet, but it would be nice to do away with that extra charge. That said, it wouldn't be the first time KC has flown under Ofcom's radar, its more convenient I imagine to just assume BT runs the whole country. The problem is that that infrastructure hasto be maintained, regardless of how much or little it is actually used. It's a bit like the standing charge for utilities. You could do away with it, but meter your data useage and bill you per gigabyte. Arguably that would be fairer because light users would pay very little, while heavy users would pay the most. 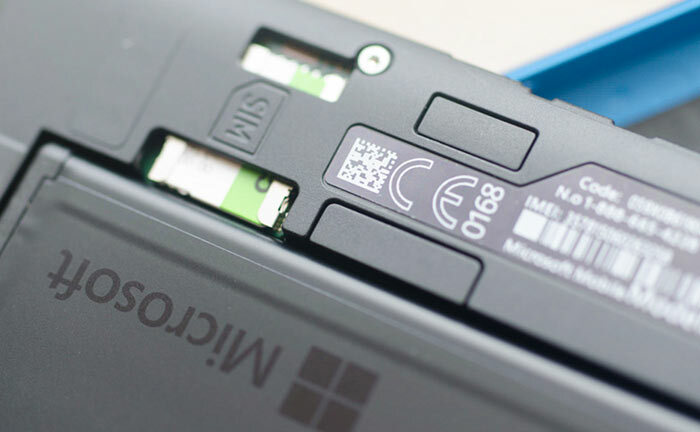 Is that a charging model you would like to see? LSG touched on it… From my personal experience the issue is not switching, nor is it often the prices but the simple availability - when I'm in my house for most instances I can use Wi-FI for high speed data transfer. The only mobile provider that can provide mobile signal in my house without having to buy a booster each time i switch is Vodafone. Even for them we've already invested in a booster to get more than a 2G signal and I'm only 15 minutes from a town on the mainline to London. If they really want to free up competition we need the coverage first and none of this 90%, 95% we need 99.9%.